I know in my June recap I promised that things would return to normal around here in July but you might have noticed that hasn't happened! Nothing has gone wrong this month (my Mum & Dad are both doing brilliantly and my health has improved too!) but I think I'm still a little burned out in general. I've been running this blog since January 2010 and have rarely taken much of a break so I think this was probably long overdue and I've actually really enjoyed taking most of the month off. 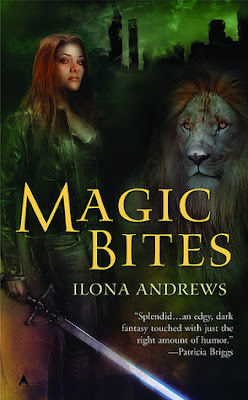 I've been binge reading one of my all time favourite series (Kate Daniels by Ilona Andrews) and it's been so nice to just devour those books one after the other without taking any breaks or having to stop to write reviews. The last book, Magic Triumphs, is published in August but I was lucky enough to get an arc so I've been able to read right through to the end and I loved every minute of it. I am planning to get back into the swing of things blogging wise but I'm going to take it slowly throughout August and hopefully get things back to normal in September. Hopefully you'll bear with me until then (but to be honest you're probably pleased to get a break from me LOL). I don't normally count rereads for the book of the month but, like I already mentioned, this month was ALL about my Kate Daniels re-re-re-reread! Magic Bites isn't the strongest book in the series but it is the first book so you definitely need to start there if you're new to this world. It's one of my all time favourite series (I've read most of the books at least 5 times!) and each instalment just gets better and better. The series is full of so many wonderful characters, action, magic, all kinds of weird & interesting magical creatures and mythology from all around the world - there really is something for everyone in there and I just love every minute of it! I've been lucky enough to attend a couple of fab events this month. 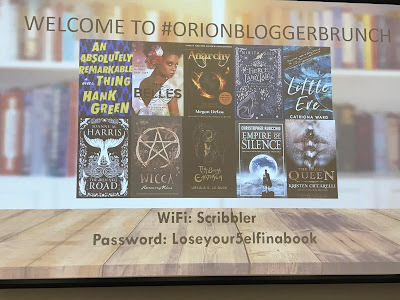 The first was the Orion Blogger Brunch where we got to find out about all the fabulous books they'll be publishing over the next few months and we had the chance to meet both Ed McDonald and Catriona Ward as well as listen to Candice Carty-Williams talk about her 2019 debut novel. I'm going to be doing a full write up soon but I added SO MANY books to my wish list that it's a little crazy LOL. 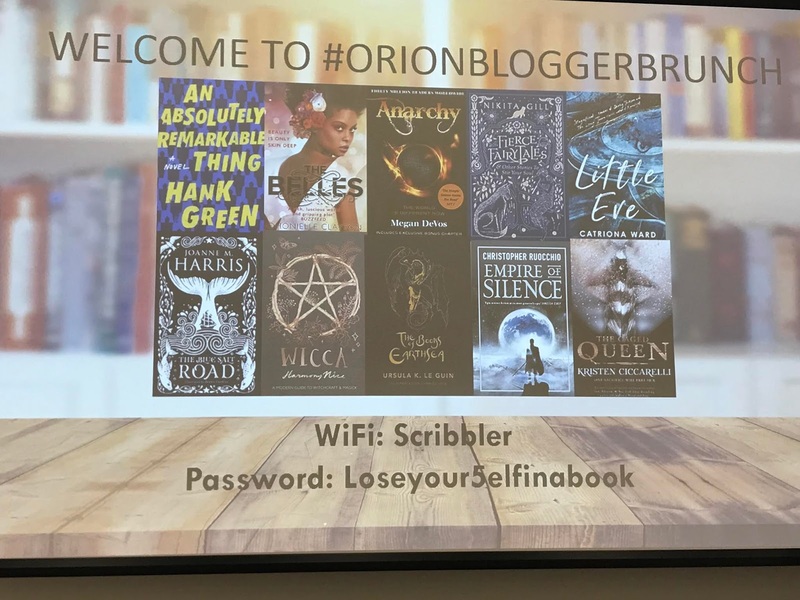 I was also invited to attend the Penguin YA Secret Society Party which was a fab event with Sally Green, Melissa Albert, Elizabeth Klehforth and Emily Barr. The venue was VERY hot but we got to drink cocktails, nibble chocolate, have glitter tattoos, pose for silly photos and chat with the authors so it was definitely worth it. I'm going to do full write ups for both of these events soon but I want to say a massive thank you to Orion and Penguin for inviting me, I had such a brilliant time at both events!